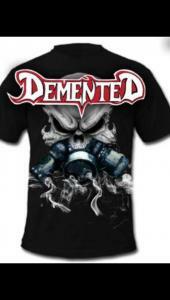 Demented1 - Brian Enos's Forums... Maku mozo! No can't take that amount, I just lowered it from $295. It's as low as I'll go. 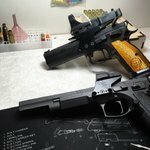 Demented1 replied to scorch's topic in Match Announcements - Pistol Only - USPSA, IPSC & Misc. i registered limited and i shot the match limited but on the score sheet im listed as open major!! does this mean i get to reshoot the match? well my son sent off his cz tactical sport to shay akai to build and he shot a camerons open gu todayt hat belongs to my 14 year old and had zero issues and placed 4th overall at a local match. talkin with him now about what he wants to do with the czechmate. he didnt want to shoot it at a match until he knows the load we have will work perfect for him. headin to cowtown this weekend so didnt want to try and shoot this weekend and lose focus during a match. we are gonna chrony and zero tomorrow then post our numbers. im also gonna load some of the previous listiings others posted i got the same bullets and powders etc to copy their loads and compare to ours. personally i told him to sell it and get another tactical and have 2 limited guns. i shoot akai and la limcat, but hes stuck on cz's hahahahhaahha. ok i think we have it finally. we had to go to autocomp powder 7.3g, montana gold 115 fmj, ccis mall pistol primers and 1.113 oal. we have it shooting smooth and cycling again. with silhouette we ended up runnin into issue where slide would not cycle. we are gonna chrony again tomorrow we brought our powder down from 7.5 because that has us at 1501avg of 3 shots and that 172 pf. tomorrow i will post numbers and then we will work on a load with 124 montana gold that i have coming. we also hadt o order an 8# wolf spring for it to get itt o work. we tried a 10# but still had some issues. either way im still workin om em and i hope this helps someone. theis has been a nightmaref or us, almost to a point where my son considered selling it. we got 170 and 172 avgs but we are having issueswith it cycling we just ordered lighter springs and will get it dialed in the next couple weeks. we are playing with autocomp, silhouette for powders. berrys and montana gold round nose for bullets, federal premium rifle primers, wolf rifle primers, cci rifle primers etc. sorry for late response we have been busy and i forgot i even posted lol my bad but i will make sure and document our findings these next couple weeks for everyone. we are getting ready for cowtown so we really need to get this dialed in. my son shoots a cm and we are doin major pf with 124g montana golds, 7.1g of silhouette and 1.15oal if im not mistaken. but i can double check tomorrow to be sure!! i have 3 sons and we all shoot open 9major but on different platforms so we all have different loads, we have berrys on the way and will try another load with them. wea re having the same issue with my sons glock 34. we have the zev firing pin and just changed back to the 3# spring hopefully this will work. thanks for the inout everyone really helps! hello everyone!! 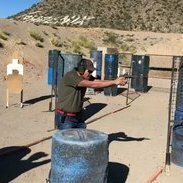 my name is james torrez and my 3 oldest sons enjoy uspsa and have a blast competing against each other!! my oldest is 20 and he is new to enos as well, he shoots cz pistols in open and limited, my 17 year old shoots eaa in open and a beretta92, my 14 year old shoots glock in open and limited and im shooting akai and a custom built 9major! we are an athletic family but we found that shooting is the only sport where we can all compete on the same playing field with no main advantage or disadvantage due to size or age!! shooting uspsa is an awesome experience and we look to grow among the ranks!! only downfall is its not cheap for me when we are shooting 3 times a month and registered for major matches!!! me and my 3 sonsa re signed up and ready to roll! excited about shooting this match! is regristration closed? if so is there a waitin g list myself and my 3 sons would like to shoot it this year.